That’s the real magic the Lincoln Children’s Zoo has been sharing with the hundreds of thousands of guests who enter its gates each year, the chance to get up-close and personal with animals from around the globe. Ryan Gross, Lincoln Children’s Zoo Director of Creative Strategy, shared that since the Zoo opened in 1965, the goal has been to balance the time spent viewing animals and the opportunity to interact with them. It’s a model that remains successful. While the Lincoln Children’s Zoo is one of the smallest zoos in the U.S., per acre it is still one of the most visited. The small but mighty Zoo is trying to make a world of difference by doing its part to save endangered animals and educate youth on the importance of conservation. If people connect with our animals and understand their importance, when something happens to those animals in the wild those people will be there, he said. Thus creating the next generation of advocates. Firsthand interaction with new species is at the heart of the Zoo’s current expansion project. “Everything we are doing with the expansion goes back to our roots,” Ryan said. In 2019, the Zoo will open with four new areas which will create more interaction, more contact and more family memories than ever before. It will include a world-class giraffe feeding experience, an up-close tiger encounter, an indoor adventure where children can climb with spider monkeys and a plaza with a playful stream. 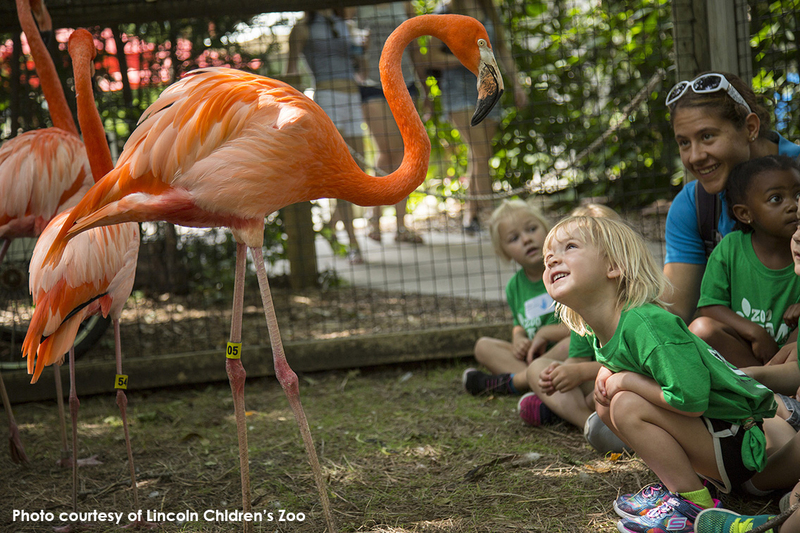 The Lincoln Children’s Zoo is not only dedicated to engaging its visitors, but also the passionate staff who keep the Zoo, its mission, and its plants and animals thriving. When employees have the opportunity to grow and develop themselves they are in turn bettering the organization, he added. To learn more about the Lincoln Children’s Zoo and its planned expansion, or just to see fun photos of the animals, visit www.lincolnzoo.org.